Home / Blog / Charcoal + Magnesium Natural Deodorant! Charcoal + Magnesium Natural Deodorant! Schmidt’s Charcoal + Magnesium Natural Deodorant! This brand-new deodorant provides the same results you’ve come to expect from Schmidt’s, allowing you to neutralise odour and wetness naturally and effectively. 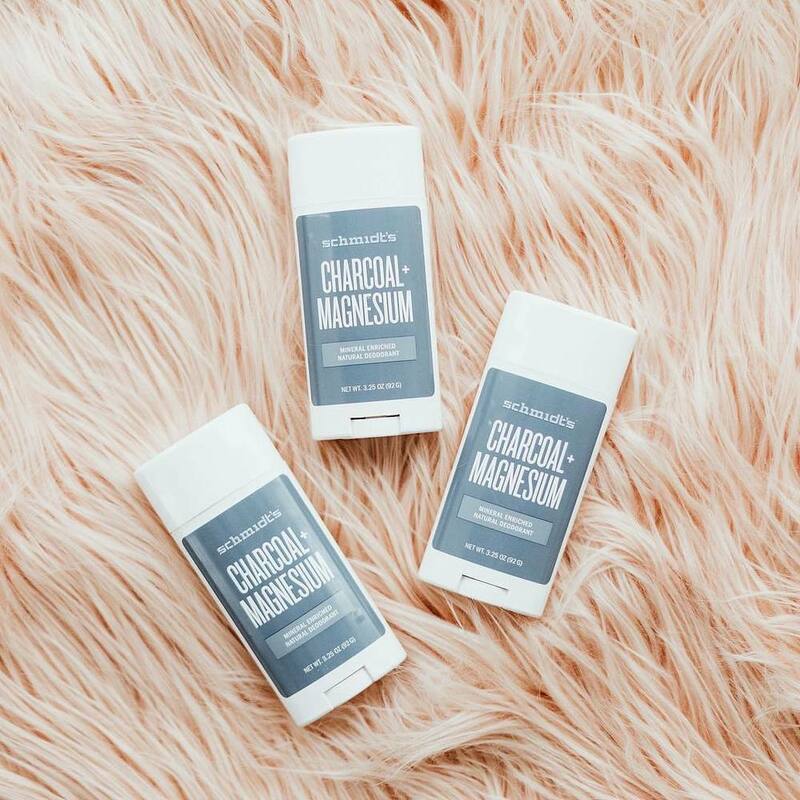 Charcoal + Magnesium goes a step further by combining two of our shining star ingredients for the first time ever—magnesium (from their Sensitive Skin formula), and sodium bicarbonate (from their Original formula). Talk about putting together the best of both worlds. On top of that, they’re stepping it up with the introduction of their new hero ingredient: charcoal! CLICK HERE to find out the result of mixing Charcoal with our crowd pleasing Bamboo! Activated charcoal is renowned for its use of the process known as adsorption (yep, with a “d”) to soak up moisture and toxins as they leave the body. Magnesium remains one of the most precious minerals in the world, maintaining vital functions in our body as an electrolyte and aiding in the production of enzymes and antioxidants. CLICK HERE to view our blog, ‘The Lowdown on Activated Charcoal’ to find out more on this amazing product! And how’s it smell, you ask? We like to describe Charcoal + Magnesium as the scent of freshly fallen rain. Vaporous, mild, wispy—and oh, so soothing. You might have to resist the temptation to rub a little on your neck or behind the ears. We can’t get enough of it, with many on the team already proclaiming it to be their all-time fave! CLICK HERE to view our entire Charcoal Range & try it for yourself!